Any cancellations within 14 days of arrival will be chargeable in full. A full rooming list mist be provided to the manager by e-mail to stay@seftonparkhotel.co.uk at least 14 days prior to arrival. A 25.00 per person security deposit applies on all groups of 9 guests or more. In the unlikely event of any member of the group creating a nuisance or doing damage at the hotel, the group will be held collectively responsible and billed accordingly. Offering a relaxed atmosphere with a warm friendly welcome, comfortable accommodation, excellent food and drink and a relaxing parkland setting overlooking a Victorian boating lake, Sefton Park Hotel is an ideal base from which to explore Liverpool. The hotel itself is located in a converted Victorian Villa and was once home to Staurt Stucliffe, the 5th Beatle, and his family until 1971. Each of our rooms have been comfortably furnished and offer guests a range of facilities including en-suite shower rooms, complimentary wifi, flat screen televisions, tea and coffee making facilities, hairdryers and irons and ironing boards. 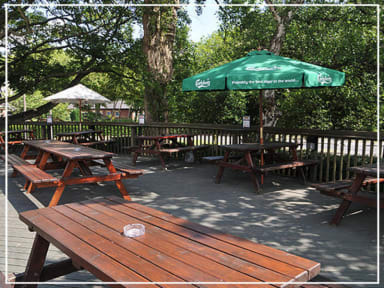 The hotel is home to O’Connor’s Bar and Grill, an intimate bar and restaurant overlooking Sefton Park boating lake which serves freshly prepared food and a wide range of quality beverages. 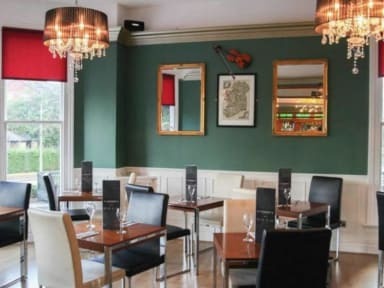 O’Connor’s is very popular with guests and local’s alike and major sporting fixtures including Liverpool and Everton games are shown in the bar. The hotel also offers conference, banqueting and meeting spaces for up to 180 delegates. Complimentary car parking is available on site on a first come, first served basis and additional complimentary spaces are available on the main road adjacent to the hotel gate. We are located in the desirable suburb of Aigburth, just 2.5 miles from Liverpool City Centre and 4.5 miles from Liverpool Airport, both of which can be reached by car within 10 minutes as can major motorway connections. A range of shops, bars and restaurants are available locally, including those on Lark Lane with it’s 23 bars and eateries, which is just 10 minutes’ walk from the hotel. Stuart Sutcliffe who was born in 1940 was the Beatles original bassist and was credited with coining the name with John Lennon as they both liked Buddy Holly’s band The Crickets. Following successful stints with the band in Liverpool and then Hamburg where he met his fiancée, photographer Astrid Kircherr, Sutcliffe decided to leave the band in July 1961 to pursue a postgraduate scholarship in Hamburg College of Art. Sadly he died in 1962, aged just 21. Although Lennon did not attend or send flowers to Sutcliffe’s funeral, Yoko Ono remembers that that Lennon mentioned Sutcliffe's name very often, saying that he was '[My] alter ego ... a spirit in his world ... a guiding force. Really enjoyed our stay in this lovely hotel. Breakfast is good value, and the location by the Park gives it a nice atmosphere. Room 103 No pillow cases on the bed when we arrived and later discovered no bath mat or hand towels The washbasin had no grill and we nearly lost a toothbrush down the drain! That could do with fixing straight away as it could lead to the loss of rings or any other small items. Fortunately there was a spare duvet which we put underneath the bottom sheet to give us a bit more comfort as you could feel the springs of the bed when lying down. Bathroom door did not close. Staff very helpful. Basic but fine for short stay if out all day. Good close bus to city centre. Staff friendly. Management could be better. Carpets in reception areas and on stairs not very clean and worn out. Carpets in bedrooms can never be cleaned like a vinyl or tiled floor. So, poor marks for that.